For the wwe raw women's title. Top UFC Women's Bantam weight contender Cat Zingano. AJ Styles went on record to state that he would like to face Shawn Michaels at the Royal Rumble in San Antonio. But i doubt if Michael will grant his request. Few years ago Michaels turned down an opportunity to wrestle Daniel Bryan. Lets wait for Michael to decide. Stephanie McMahon has extended her contract for another three years. Women's Champion Becky Lynch, who recently made her WWE return after spending a couple of weeks on the sidelines dealing with an "undisclosed health issue,". Becky will defend her wwe SmackDown woman's title on November 8th episode of SmackDown Live, which takes place in Glasgow, Scotland, as she meets Alexa Bliss. The former WCW mega-star who recently signed with WWE after more than 12 years away from the pro wrestling business took to social media on Wednesday to share footage of himself training for his big return match against Brock Lesnar at the joint-brand pay-per-view. Abi how una see am? 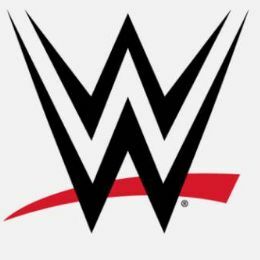 Headbangers announced through Twitter that they will be appearing on next week's edition of WWE Smackdown.